CATEGORY OF THE YEAR 2009. Scammer Location: Somewhere in Africa, a place known for scams. This scam mail comes with an attachment. If you are receiving such mails for the first time, please note that this is a scam. Subject: THE COCA-COLA COMPANY SOUTH AFRICA REGION. THE COCA-COLA COMPANY SOUTH AFRICA REGION. THE COCA-COLA COMPANY PROMOTION TO CREATE AWARENESS FOR SOUTH AFRICAN UP-COMING 2010 WORLD-CUP. (R12, 000,000.00 RANDS)=== (US$1,230,000.00 USD). BE NOTIFIED THAT ON 28TH MARCH 2009, YOUR EMAIL ADDRESS WAS SELECTED ON THE COMPUTER PROMOTIONAL BALLOT SYSTEM DRAW, AS ONE OF THE WINNING EMAIL ADDRESS ON THE INTERNET COMPUTER LOTTERY DRAW. THEREFORE YOU DO NOT NEED TO BUY TICKET OR PLAY LOTTO TO WON THIS PRIZE,YOU HAVE BEEN APPROVED TO CLAIM A TOTAL AMOUNT OF (ONE MILLION TWO HUNDRED & THIRTY THOUSAND UNITED STATES DOLLARS) (US$1,230,000.00). 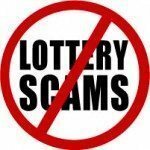 PLEASE NOTE THAT BECAUSE OF THE INTERNET LOTTERY SCAMS & THE ABUSE OF THE NAME OF OUR COCA-COLA COMPANY, WE WILL ADVICE YOU NOT EXPOSE YOUR WINNING DETAILS, SO THAT THE SCAMMERS AND FRAUD STARS WILL NOT BE ABLE TO GET HOLD OF YOUR WINNING INFORMATION. CONGRATULATIONS: YOUR EMAIL WAS AMONG THE 7-LUCKY WINNERS WHO WON (R12,000,000.00 RANDS) WHICH IS (US$1,230,000.00 USD), EACH IN THE COCA-COLA COMPANY PROMOTION 2009.THIS IS FROM THE TOTAL PRIZE MONEY OF (R84,000,000.00 RANDS) WHICH IS (US$8,610,000.00 USD) SHARED AMONG THE SEVEN WINNERS IN THE FIRST CATEGORY OF THE YEAR 2009. DO AS WELL REMEMBER TO QUOTE YOUR WINNING INFORMATION TO HIM, TO ENABLE HIM CROSS CHECK WITH YOUR BELOW WINNING INFORMATION IF YOU ARE THE RIGHTFUL WINNER OF THIS PROGRAM OR NOT. YOU MUST CONTACT THE APPOINTED PROCESSING DIRECTOR IMMEDIATELY AS YOU HAVE THE VALID PERIOD OF 14 WORKING DAYS AND YOU ARE EXPECTED TO MAKE YOUR CLAIMS IMMEDIATELY.ANY CLAIM NOT MADE BEFORE THE ABOVE MENTIONED DATE WILL BE CANCELLED. Your browser may not support display of this image.COCA-COLA COMPANY SOUTH AFRICAN REGION.